Welcome to Urban Loft Living. 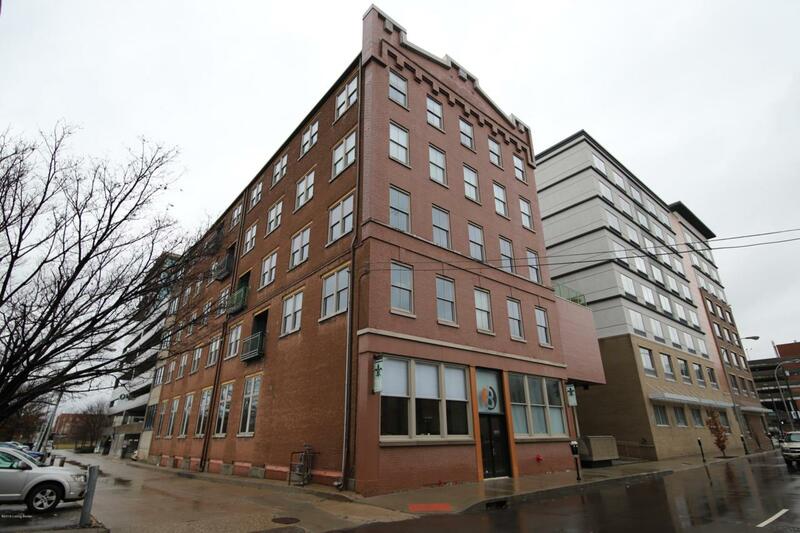 . . Just listed is this one bedroom loft condominium located in the heart of Louisville's downtown bourbon district. Building consists of commercial and residential units with secured front door access and regular and freight elevators. Enter into the foyer with exposed brick and tall ceilings. The fourth floor consists of residential units where you will find unit 404. Enter the unit into large open living room with hardwood flooring throughout and tall ceilings. Kitchen has stainless appliances complete with gas range and island counter. Rear of the unit has large master bedroom and full bathroom. Washer and dryer are in the unit. Street parking and development has deed restrictions and under professional property management.